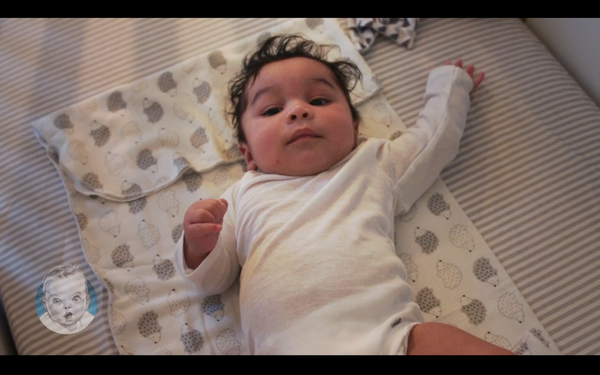 Gerber Childrenswear wants to make sure more babies are cradled in the cleanest cotton and is launching Gerber Essentials, a line of baby gear sold in Walmart and Target. While plenty of brands make organic clothing for babies, and Gerber itself has long sold organic cotton clothing in other channels, this may be organic baby clothes’ most mainstream moment yet. Spots are targeting millennial families as well as gift-givers, and are running on YouTube; digital pre-roll is running on desktop and mobile. And Spanish-language ads are running for the Walmart line. Organic food has long dominated parents’ food choices, but organic textiles continue to be a trickier proposition. Conventionally grown cotton is considered by many to be the dirtiest crop of all, requiring extremely toxic pesticides. Switching over to organic cotton, which requires moving away from pesticides and genetically engineered seeds, is expensive, time-consuming and requires third-party certification. Gerber is not GOTS-certified, but claims its product is 100% certified organic cotton, and that the clothing is certified to STANDARD 100 by OEKO-TEX.